It seems that everywhere you look these days, from the grocery store to the restaurants you visit, everyone is talking about GLUTEN FREE. But, what is gluten and what is the big deal? Gluten is the protein found in wheat, barley and rye. In people suffering from celiac disease, gluten can cause tremendous damage to the small intestines and other parts of their digestive system. According to the Mayo Clinic, “a wheat allergy generates an allergy-causing antibody to proteins found in wheat” and it is especially prevalent in children. One of the explanations for what happens is that when someone suffers from celiac decease and eats something containing the gluten protein, their body will immediately attack it as a foreign non-food substance. This can cause a range of symptoms from chronic diarrhea to chronic constipation with irritability and depression. Because of this, people with celiac decease or wheat allergy should avoid products containing gluten. In the kitchen you can find gluten in everything from obvious wheat products like bread and pasta to the not so obvious like soy sauce and other packaged products and sauces, including ketchup. That is why it is always recommended to read all the labels. When eating out, however, unless it is specifically indicated in the menu, it is almost impossible to know whether the food to be consumed contains gluten in any form. Unfortunately, by avoiding wheat, barley, and rye the nutrients contained in these foods are also missed, leading to a decreased intake of certain vitamins. One of the ways to address this is by cooking with fresh ingredients and avoiding processed foods that use gluten products to help with preserving the food for a longer shelf life. At Yu’s Garden Chinese Restaurant in Glen Ellyn we have always made it our mission to cook with gluten free products and make everything fresh from all natural ingredients. Additionally, we never use MSG. So enjoy eating out again! 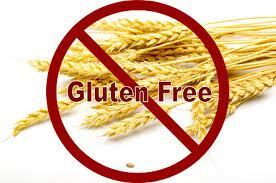 Come to Yu’s Garden Chinese Restaurant and enjoy our gluten free foods. Come over to dine in, or call 630.439.1635 to order from our Gluten Free menu. Pick-up and delivery service is available. This entry was posted in Chinese Dishes, Gluten Free Food and tagged 60137, Beijing Chinese Restaurant, Celiac Disease, Chinese food, Chinese Restaurant, delicious food, fresh ingredients, Gluten Free, Good food, healthy food, Mayo Clinic, Wheat Allergy, Yu's Garden Chinese Restaurant. Bookmark the permalink.